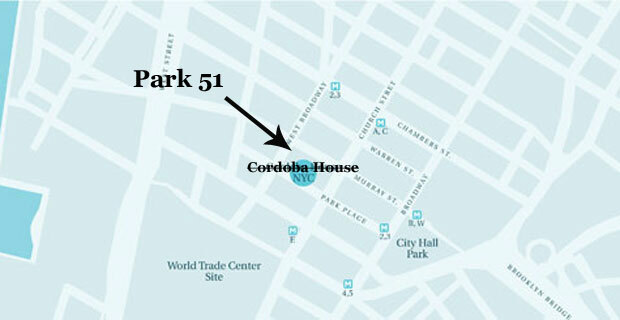 Park 51 is the new name for the Cordoba House. Although freedom of religion has been an important point in the debate surrounding the Park51 development, a new Quinnipiac Poll has been released confirming that New York voters defer to the sensitivities of 9/11 families. “By a 54 – 40 percent majority, voters agree “that because of American freedom of religion, Muslims have the right to build the mosque near Ground Zero,” the independent poll finds. Another 7 percent are undecided. But these same voters agree 53 – 39 percent, with 8 percent undecided, “that because of the sensitivities of 9/11 relatives, Muslims should not be allowed to build the mosque near Ground Zero. And by a 71 – 21 percent majority, voters agree “that because of the opposition of Ground Zero relatives, the Muslim group should voluntarily build the mosque somewhere else. By a 45 – 31 percent margin, New York State voters say they have a “generally favorable” opinion of Islam, with 24 percent undecided. The heated, sometimes angry, debate over the proposal to build a mosque two blocks from Ground Zero has New York State voters twisted in knots, with some of them taking contradictory positions depending on how the question is asked,” said Maurice Carroll, director of the Quinnipiac University Polling Institute. A majority agrees that American freedom of religion gives Muslims the right to build the mosque near the site of the terrorist attack. Republicans disagree 54 – 39 percent. Because of the sensitivities of relatives of the terrorist victims, an almost identical majority, including many of the same voters, believes Muslims should not be allowed to open the mosque.Overwhelmingly, across all party and regional lines, New Yorkers say the sponsors ought to voluntarily move the proposed mosque to another location,” Carroll added.